Address: 458 Moo 3 Chiang Mai-Chiang Dao Rd. 8.1 out of 10 based on 64 verified user reviews via Agoda. 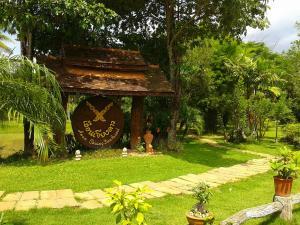 Buraphat Resort is perfectly located for both business and leisure guests in Chiang Dao. The hotel offers a high standard of service and amenities to suit the individual needs of all travelers. Facilities like free Wi-Fi in all rooms, daily housekeeping, private check in/check out, express check-in/check-out, Wi-Fi in public areas are readily available for you to enjoy. Guestrooms are fitted with all the amenities you need for a good night's sleep. In some of the rooms, guests can find television LCD/plasma screen, additional bathroom, clothes rack, complimentary instant coffee, complimentary tea. The hotel offers various recreational opportunities. Convenience and comfort makes Buraphat Resort the perfect choice for your stay in Chiang Dao. 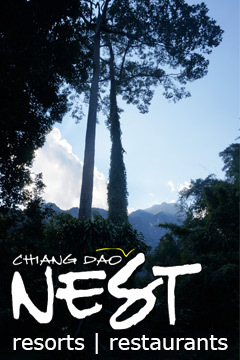 Buraphat Resort - Chiang Dao classifies itself as a 3 star hotel.